MakerBot is excited to announce our participation in the upcoming TOM:NYC Makeathon. 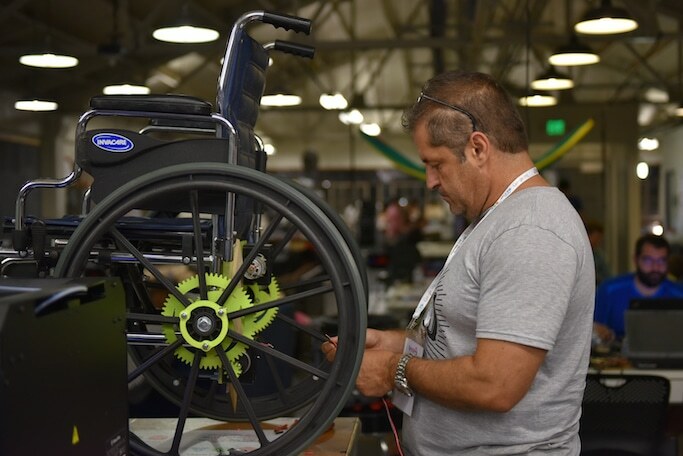 This innovative gathering will connect teams of designers and engineers to people with disabilities to create groundbreaking assistive technology devices. TOM (Tikkun Olam Makers) is a global community of makers that partners with local organizations – in this case Cornell University and the NYC Mayor’s Office for People with Disabilities – to develop affordable and accessible solutions for everyday challenges. The 72-hour Makeathon will take place at the cutting edge fabrication facility, New Lab in Brooklyn, on April 21st to the 23rd. Over 150 makers and need-knowers will come together in teams to design and test devices for individual use. After the event, the devices will be shared online so that users around the world can download and adapt them to their needs. MakerBot will provide teams unlimited access to Replicator+ and Z18 3D printers in order to accelerate their design process and enable them to print functional prototypes of their assistive technology devices. Teams will be working in a limited 72 hour time frame, so harnessing 3D printing to quickly iterate their designs will help them achieve the highest quality possible for their respective need-knowers. 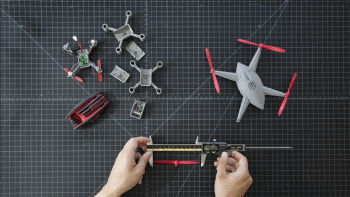 This effort is at the heart of both MakerBot and TOM’s missions and marks the second time the two have teamed up to harness the skills of the maker community to bring powerful solutions to light. Are you a maker interested in testing your skills alongside other teams to invent groundbreaking devices? Join us and the NYC maker community in this amazing cause, sign up for TOM:NYC today! MakerBot has improved substantially over the past two years . We started listening more closely to our customers to better understand their needs and how we can advance desktop 3D printing. We centralized our teams under one roof, significantly improved our quality control and operational processes, and successfully launched a new line of products. This transformation is not trivial. The desktop 3D printing business is growing in several segments at once, and we consciously chose to focus on the professional and education segments where we provide the best value proposition. We worked hard to further define our current strategy of developing 3D printing solutions that address the needs of professionals and educators. We are in a strong position and offer easy-to-use, clearly differentiated, and high quality products. Our new products have been well reviewed, awarded, and well received by our key segments. I believe that this is the right path forward for MakerBot. However, we have to make additional changes to lower costs and to support our long-term goals. The leadership team and I have been working on a new organizational structure, and as part of this new plan we will reduce staff at MakerBot by 30%. Greater focus on long-term goals is key to our success, and we must reduce the pressure and distraction of chasing short-term market trends. As part of Stratasys, we believe in the long-term opportunities in desktop 3D printing. We must deepen our focus on core products. The leadership team and I have further focused our roadmap on the essential products that are most relevant to our core customers in order to achieve our strategic goals. We have to reorganize in small groups around these offerings, then execute in the most efficient and agile ways. I’d like to thank those who are parting ways with us today for their dedication, hard work and friendship. MakerBot will be providing severance pay and will be offering career services to parting staff. As part of these changes, we will further integrate our hardware and software product development under one team. Our VP of Engineering, Dave Veisz, will now oversee all hardware and software R&D, and we’re promoting current Director of Digital Products, Lucas Levin, to VP of Product, leading product management across hardware and software. Stratasys remains committed to MakerBot, and will continue to support its unique culture, and products. The Stratasys leadership team believes in the core achievements and strengths of MakerBot and supports it in making the hard steps, it has the utmost confidence in our collective ability to deliver industry leading 3D printing solutions. That’s a mission that Shannon Feaster takes to heart in her 4th and 5th grade science classes. 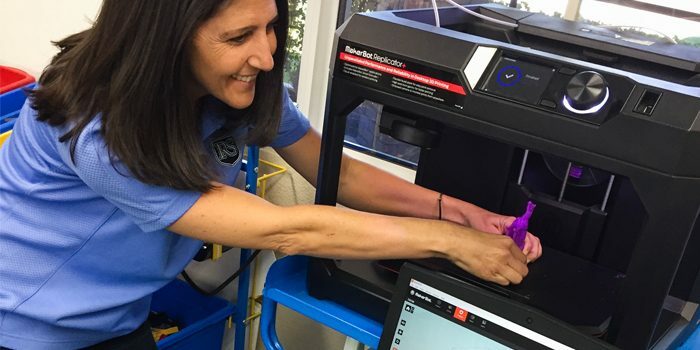 As a member of the MakerBot Educator program and a teacher of 20 years, she’s going beyond the books to meet the rigorous standards at Rancho Solano. Since August of 2016, she has used a MakerBot Replicator (5th Gen) and MakerBot Replicator Mini to challenge her students to design and 3D print projects. In turn, she’s elevating engagement, encouraging real-world problem solving, and teaching larger life skills —especially those for tomorrow’s jobs. We chatted with Shannon to learn just how she is 3D printing in the classroom and what she’s achieved with her students. MakerBot: What MakerBot products are you using and what do you like about them? Shannon: We use MakerBot Fifth Generation 3D printer, MakerBot Replicator Mini, MakerBot Desktop, MakerBot Mobile app (teacher only), and Thingiverse. All are very user-friendly for both teachers and students. MakerBot: What do you and your students primarily 3D print in your classes? Shannon: Projects! My students have used the printers to create everything from robots with second grade science buddies to cars, design prototypes, and organisms for plant or animal classification and adaptation units. Both printers are also used by my STEM club. MakerBot: How does 3D printing with MakerBot help you target specific learning goals? Shannon: It goes right along with STEM and Next Gen Science Standards —we find a need, design, test, modify, print, modify again, and use! It’s not only teaching the kids about the design process, but they also have to collaborate, problem-solve, show persistence with a project, and see value in how technology can change lives for the better. We hope to soon work on printing toys and food bowls for a rabbit rescue in our community. MakerBot: Tell us about the most exciting or interesting lesson that you’ve run with your MakerBot so far. Shannon: After studying about the 5 kingdoms and ecosystems, my 4th grade students had to design their own organism and write a book about its scientific classification, habitat, and more. They used TinkerCad to create their organism. Some did plants, some did new species of animals, and some even did protists and bacteria. They 3D printed their organisms and had them on display along with their book about that organism. MakerBot: What does having access to a MakerBot 3D Printer help you achieve in your classroom? Shannon: Simply put—projects come to life! Students have the opportunity to design, test, modify objects for projects; and the kids use the 3D printer to make models to show what they have learned or to use for presentations. 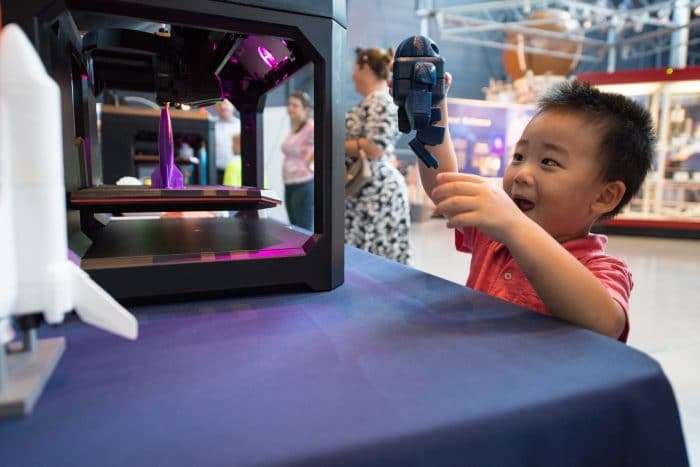 MakerBot: Do you think having access to tools like a 3D printer at this age helps set your students up for success in the future? Shannon: I think our 3D printers set my students up for success simply because they can turn their ideas into a reality and they understand how to persevere through a difficult design and learn from their mistakes to make improvements. These are not simply STEM objectives, but also life skills. MakerBot: Have you saved time or money creating teaching props for projects or on other teaching supplies using a 3D printer? If so, how? Shannon: Absolutely! It was actually my students who reminded me that I could 3D print containers for all of our STEM materials, and even a screwdriver to keep in the classroom! They have also used the MakerBot to create props for a play they are currently doing in Language class. And other teachers like to ask my STEM club students to print math manipulatives and letters for the younger grades on campus! 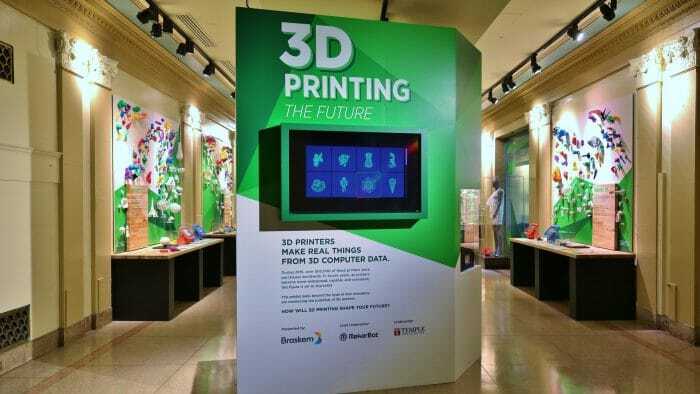 MakerBot: How do you plan to continue using 3D printers in the future? Do you have any new projects coming up? Shannon: My fifth graders will be taking a trip to Biosphere II and after our ecology unit, they will jump into Google Sketchup to design their own Biosphere. They will export their designs from Sketchup to 3D print the model to use in a presentation or project. The 5th graders are also designing a working windmill to print and use! After studying the Human Body, my fourth grade students will use the printer to design cross sections of a heart, cells, eyes, and more. MakerBot: Is there anything else that you would like us to know about how MakerBot empowers you or your students? Shannon: One of my fourth grade students has a notebook with drawings of prototypes and he now has the means to design and print his models. Being able to take his designs from paper to a real model has inspired him to further his ideas, and even look into how to present and patent his ideas! Thanks again to Shannon and Rancho Solano Preparatory School! MakerBot provides a variety of resources designed for educators of all experience levels with 3D printing. To learn more about how you can 3D print in your classroom, visit makerbot.com/education. 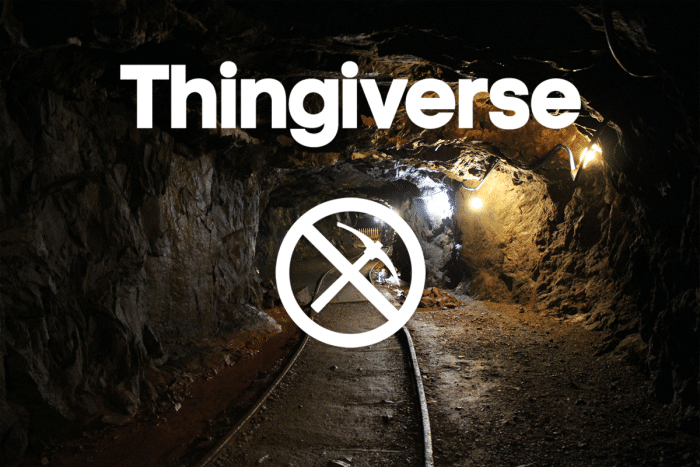 For classroom-ready lesson plans, check out Thingiverse Education. To become a MakerBot Educator, visit makerbot.com/educators. 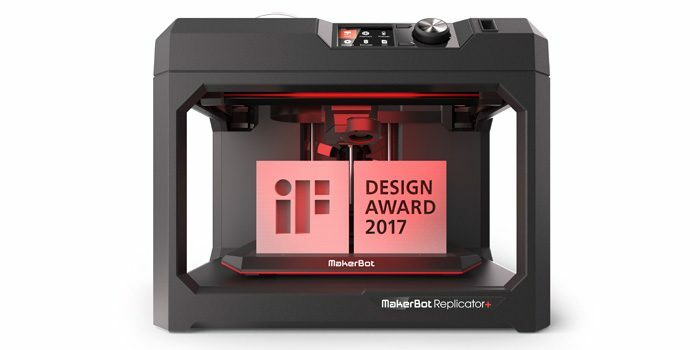 We’re pleased to announce that the MakerBot Replicator+ Desktop 3D Printer has won the prestigious iF Design Award in the Product category. The iF Design Award competition is put on every year by Germany’s oldest independent design organization, Hannover-based iF International Forum Design GmbH. The 58-member jury of independent experts from all over the world selected the MakerBot Replicator+ as one of the winners from over 5,500 entries submitted from 59 countries. MakerBot’s new solution for professionals offers engineers and designers a faster and more effective way to develop and test their ideas. The MakerBot Replicator+ provides faster, easier, and more reliable printing with a bigger build volume. WI-FI connectivity and tightly integrated desktop and mobile applications enable the Replicator+ to easily integrate into the design workflow. Compatibility with native CAD 3D files and high performance materials are tailored to meet the demanding needs of professionals. The MakerBot Replicator+ also features a flexible build plate, making it easy to remove larger prints by simply bending the plate. The new Grip Build Surface ensures that prints adhere better without the use of blue tape, resulting in improved reliability and reduced warping and curling. A behind-the-scenes look at how MakerBot’s hardware and software teams collaborated when developing the Replicator+ is available here . To learn more about MakerBot’s solutions for professionals and educators, please visit makerbot.com . On September 20, 2016, we revealed what’s next from MakerBot. With the launch of new 3D printing solutions for professionals and educators, we announced a new approach to product development at MakerBot that’s based on carefully listening to our customers. For everything that the launch revealed, what it didn’t reveal was the intense collaboration behind the scenes that made these solutions possible. By collaborating under one roof, we can create industry-leading solutions that meet the evolving needs of our customers. We will also continue to elevate the 3D printing experience and empower you to do more. In this post, we’re going to further dive into one of the key collaborations behind the MakerBot Replicator+. With this 3D printer as our example, we hope to show why the integration of hardware and software is more than just a better way to create new solutions. It’s the best way to really make the overall 3D printing process easier, faster, and more effective. Our thinking in developing the Replicator+ was guided by feedback from in-depth customer research and the collective expertise of our teams. Based on insights from these sources, we set a variety of goals for the Replicator+, like faster printing, greater reliability, higher print quality, reduced noise, and improved ease of use. Even though many teams collaborated across MakerBot to achieve these goals, one collaboration especially drove the effort: the mechanical engineers from our hardware team and the toolpather engineers from our software team. 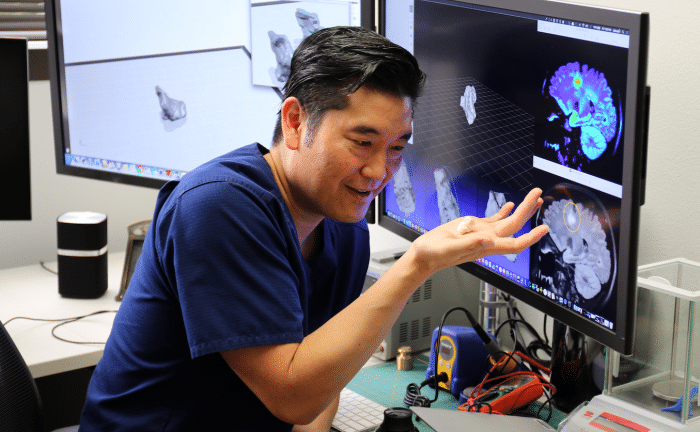 To learn what’s significant about this collaboration, it’s important to understand what we mean by the terms “toolpathing” and “slicing.” Within 3D printing, slicing is a common process where 3D print preparation software cuts a 3D file into separate layers. These layers are the order of how your file will print. At MakerBot, toolpathing is where the interesting work happens. The toolpath is the very specific set of instructions that tells the extruder on your MakerBot 3D printer the path to travel, as well as the speed and acceleration at which it must travel, in order to complete each slice in the most optimal way possible. These instructions include how much infill to print and at what layer height. All in all, the toolpath can determine a variety of factors for your end print, such as its internal strength, resolution, and the time needed to print. At MakerBot, the software engineers on our toolpather team focus on how to optimize these specific sets of instructions for MakerBot’s 3D printers. Even if toolpathing can affect a variety of factors, the hardware on the printer, like the gantry and extruder, provide the actual limits for its performance. So software engineers on the toolpather team work within those limits to conduct tests, tune instructions for each printer’s mechanical system, and figure out the right balance between print speed, quality, and strength. The collaboration between our mechanical engineering and toolpather teams proved beneficial both before and during the development of the Replicator+. While there are many examples that we could highlight, the following are just a few. Even before product development began, the mechanical engineering team sat down with the toolpather team to brainstorm how we might design the Replicator+ to print faster. Since the toolpather team tuned our print software for the Replicator (5th Gen), they are familiar with that 3D printer’s limitations. For example, since vibrations are inherent when a machine is in motion, the toolpather team tuned the extruder to operate at slower speeds for certain moves. Minimizing vibration enables the printer to produce more accurate print results. With feedback from the toolpather team, our mechanical engineers could more carefully understand how to increase print speed for the Replicator+ while minimizing vibration. As a result, they realized that the gantry and carriage for the Replicator+ would need to be more rigid and stiff. To increase the performance of the printer, the mechanical engineering team made a number of design enhancements. They simplified the assembly of these pieces, chose more reliable manufacturing techniques, and used sturdier materials, like cast aluminum pieces and aluminum extrusions. Together, these changes allowed for higher performance, like faster printing, higher print quality, and quieter operation. Earlier this year, we noticed an issue in testing the Replicator+. The extruder required added force at certain points when printing a certain model. This force caused the extruder to stop printing momentarily. So, the mechanical engineering team built a test setup with a torque sensor in line with the extruder to measure the extruder push force as it printed. Then, we printed the same model again. The rig collected data from the torque sensor which we compared against the toolpather code we used for this model. To make this happen, our software team created a new software tool to sync the data from the torque sensor and the toolpather code. That software helped them isolate what move was causing problems. Through this deep data-driven approach, we could better understand the extruder behavior and pinpoint which toolpather commands were causing the issue, so we could make the fix. This collaboration doesn’t stop once our 3D printers are out in the world either. The toolpather team and our mechanical engineering teams can and do work together to introduce new printing features through MakerBot Print or the MakerBot 3D Printer Firmware, such as further speed improvements. That’s one way our MakerBot 3D Printers offer more value over time. Collaborations like these set MakerBot apart within the 3D printing industry. Both teams take direct input from each other to best inform what they do. While the mechanical engineering team works on a more fixed schedule with harder deadlines, the toolpather team is a bit more agile. In the end, both teams work together to learn how we can improve the performance of our products, before, during, or after development. If these teams were in separate locations, each would have a much harder time optimizing our hardware and our software. MakerBot’s hardware and software teams aren’t the only ones that benefit from working together in one location. Across all of our teams, close collaboration allows for an easier exchange of ideas, faster testing, and ultimately better decisions. It’s how we can develop and optimize our solutions —3D printers, software, and filament— to work together. By optimizing our solutions and collaborating under one roof, we will continue to develop the best possible 3D printing solutions for professionals and educators. Building on MakerBot’s years of work in education, we’re proud to announce the launch of our brand new MakerBot Educators program at the Future of Education Technology Conference (FETC) in Orlando, Florida at booth #2316 at North Exhibit Hall B. 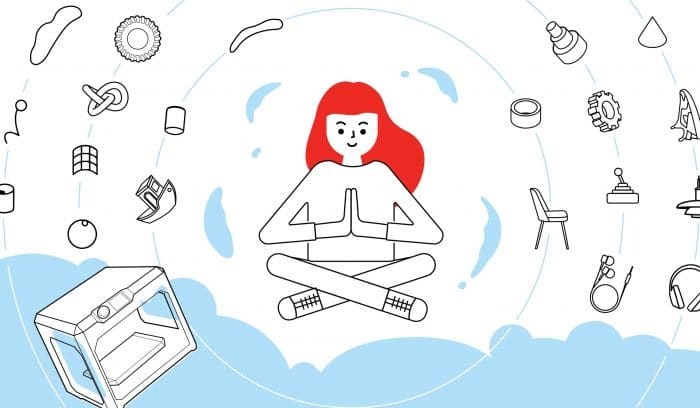 This new program empowers educators to promote the use of 3D printing in their classrooms by exchanging knowledge with other educators, participating in challenges and receiving support and guidance from MakerBot. Eligible candidates will need to have contributed to Thingiverse Education and have access to a MakerBot device in order to participate. 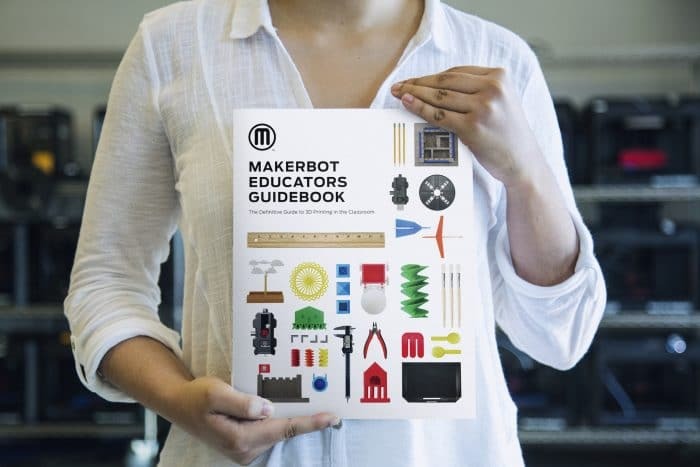 After becoming a member, you will be invited to join the MakerBot Education team in monthly missions, designed to increase student access to the technology, expand the content available for classroom use, and promote the benefits of design thinking and STEM learning. Participating educators will receive a welcome kit, complete with exclusive MakerBot gear, and can earn prizes like extra MakerBot PLA filament by participating in monthly missions. 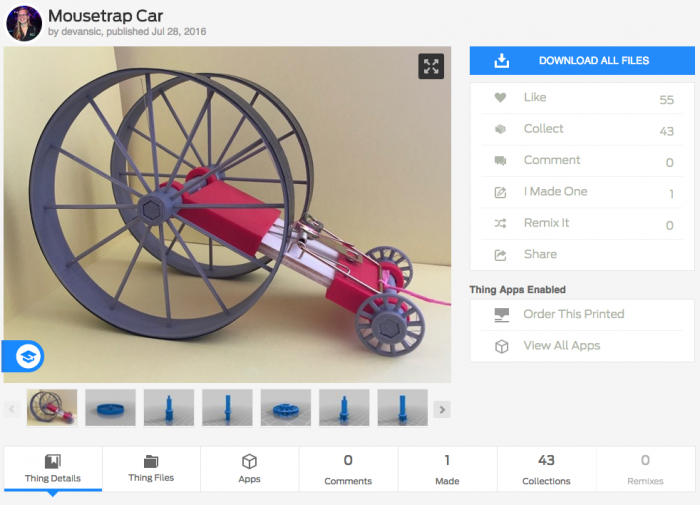 Thingiverse Education user devansic created this Mousetrap Car lesson plan to teach engineering and physics principles. 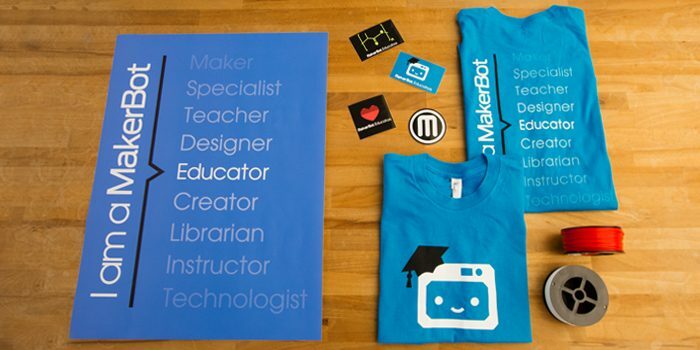 At MakerBot, we’re excited to support highly-engaged educators with the new Educators Program. Combined with Thingiverse Education, we can together grow a community of educators who will change the lives of tomorrow’s innovators, today. Thanks to Peloton, you can take a cycling class in your own home on your own time with your own teacher. In 2014, this startup introduced a sleek, silent exercise bike that could livestream classes over Wi-Fi on a built-in touchscreen console. 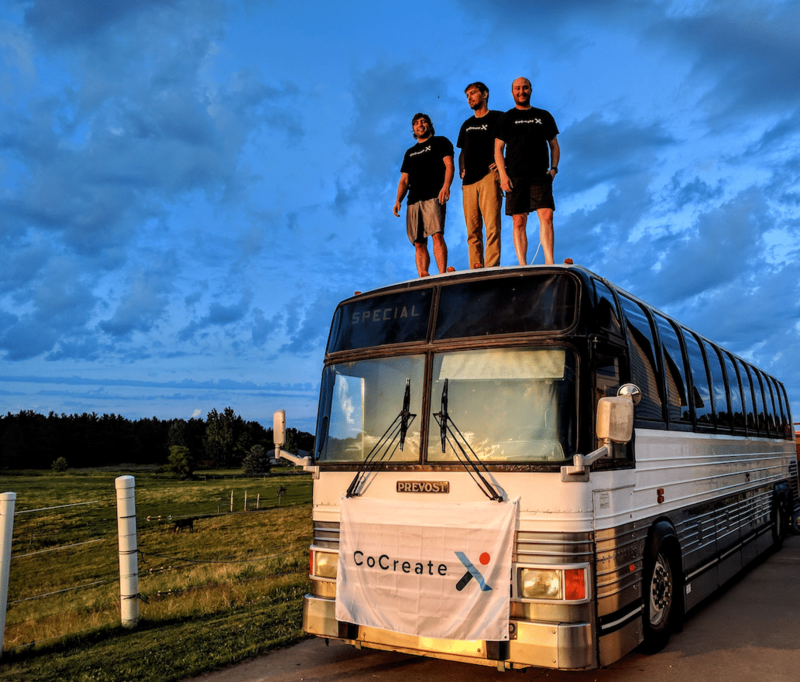 In so doing, the startup opened up a whole new exercise market. Now, to extend this experience to public places, like hotel gyms, universities, or even hospitals, Peloton unveiled an all-new commercial bike and content platform at the 2017 Consumer Electronics Show. With this novel, connected approach to exercise, Peloton is disrupting an industry that’s generally based on going to the gym. To further capture market share and stay a step ahead of competitors like FlyWheel Sports and SoulCycle, the startup must continue to innovate at a fast pace and release new products like this commercial bike. To speed up design cycles and cost-effectively prototype many smaller components on this new bike, Peloton’s industrial design team used MakerBot. In total, Peloton accelerated the iterative design process by prototyping twenty different parts on the MakerBot Replicator (5th Gen). “It’s our primary 3D printing solution,” says Jason Poure, Director of Industrial Design. “Any designer can walk in the door and start 3D printing.” The company now also has the Replicator+. From the end of 2015 when development started through 2016, the industrial design team printed over a hundred iterations for twenty different parts. With MakerBot, Peloton could save approximately $20,000 dollars and a few months in time compared to using a service bureau. The team sometimes relies on the latter to prototype larger parts or parts in higher-end materials. By iterating with MakerBot, the team could get instant feedback with every new design at approximately a dollar a prototype and make changes immediately without having to wait a week for parts to come back from a service supplier. The team could also verify the size, scale, and ergonomics of these parts with enough confidence to decide when each design was ready for production. The bright red resistance knob on the Peloton Commercial Bike is a prime example of how the industrial design team could rapidly and efficiently finalize a design. As probably the most used piece of hardware on the bike, it determines the level of resistance during a workout. Less resistance is better for sprinting and more is better for simulating an uphill ride. “You want the touchpoint of your brand to be the most beautiful element,” says Poure. To perfect the knob’s design, Industrial Designer, Nigel Alcorn started with drawings in Illustrator or CAD, would model them in SolidWorks, and then 3D print designs on the MakerBot. Each design represented a distinct direction, which Alcorn would then discuss with Poure. 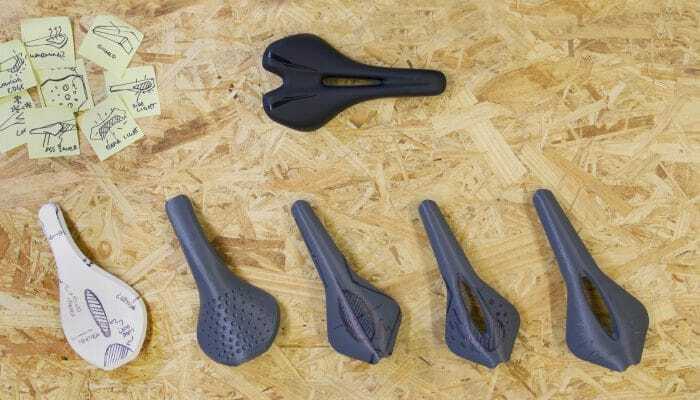 Designing the right form and shape for the knob was also critical, since users will need to frequently grip and adjust it through cycling classes. That’s also why iterating with precise, accurate 3D prints from a MakerBot was a huge advantage in the process. Over approximately 36 iterations, Alcorn experimented with 8 and 6-sided forms, tried a base-cap structure, and eventually struck upon an elegant design with three valleys and three peaks. With this design, he could account for riders who would subtly turn the knob or slap it to drastically change the resistance. In the process of designing the knob alone, the team saved a few thousand dollars and a few weeks by iterating with MakerBot. 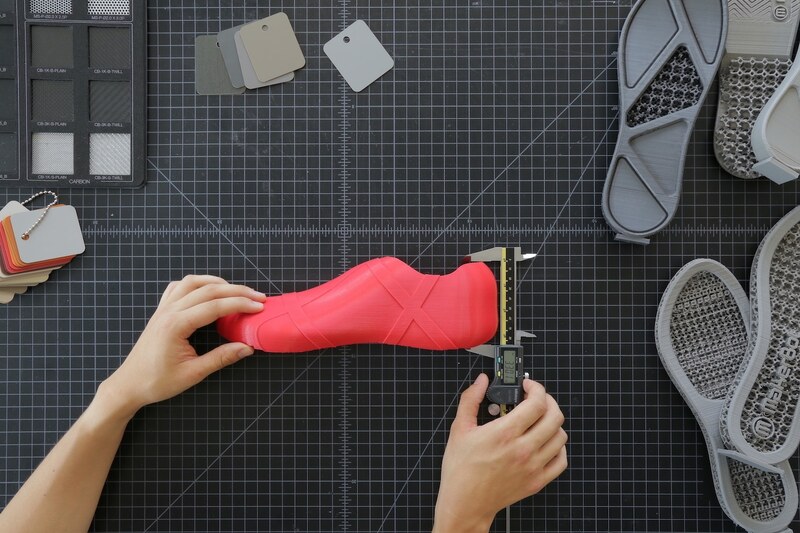 Beyond cutting costs and saving time, the industrial design team also 3D printed with MakerBot to “verify ergonomic placement, scale, and size right on the spot” according to Poure. Most, if not all, of the plastic parts were prototyped on a MakerBot, including levers, the weight holders, water bottle holder, and a hub inside the wheel. In addition, the team could also verify the feel, snap, and function of a specific tolerance for a part, especially if that part was going to fit in an assembly. For Poure, this process is extremely helpful in deciding whether a part is ready for production or not. After, the team has injection-molded versions created. Ultimately, what’s at stake for Peloton is more than cycling classes or exercise bikes. 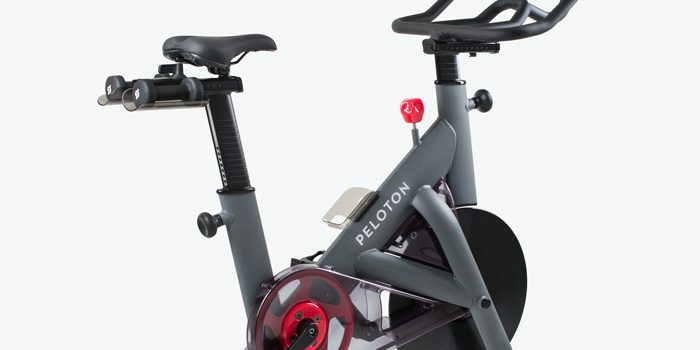 The Peloton team has created an entirely new model for instructor-based exercise. Previously, your options were to either attend classes and use machines at the gym or the solitary experience of working out at home. For the latter, you would need to purchase your own equipment and find your own content. So, here’s Peloton’s big twist: the startup has mashed up social media, high-energy content, and high-quality equipment to make the experience of exercise social, interactive, and seamless. Now you can connect with friends, log your workout stats, and stream Peloton’s live or recorded classes on your own time, whether at home or a hotel gym. You can even sync your Fitbit with either bike. In order to quickly build out this model, the Peloton team must release new products before their competitors can catch up. 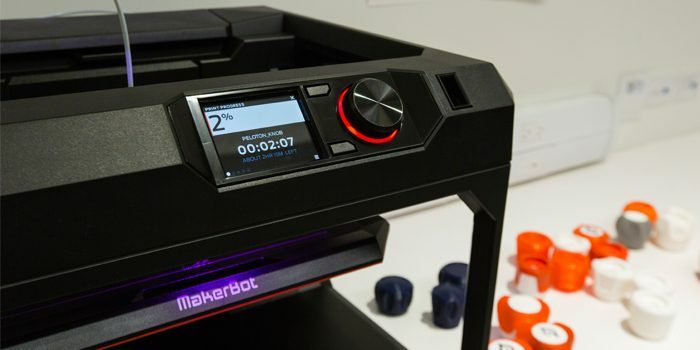 To work at this accelerated pace, they need an accessible, reliable technology like MakerBot’s 3D printing solutions. With MakerBot, the startup’s industrial designers can quickly, confidently, and cost-effectively shorten product development cycles, release pioneering new products, and pave the way for freewheeling success. 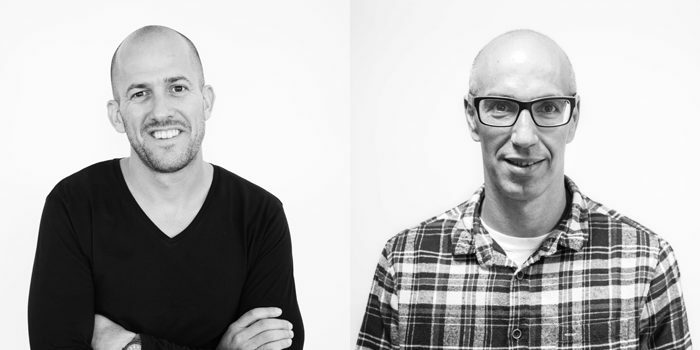 MakerBot today announced the resignation of CEO Jonathan Jaglom and the appointment of company president Nadav Goshen as his successor. 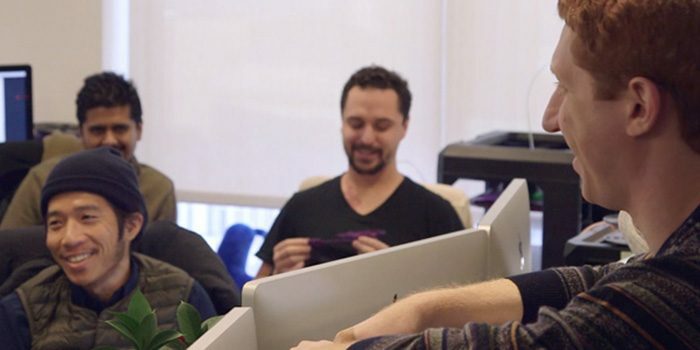 Over the last two years, Jaglom and Goshen have worked closely together leading MakerBot’s reorganization and strategic shift. Jaglom will be returning to Israel to spend more time with his family. Goshen has 15+ years of experience leading turnarounds at tech companies and his expertise lies in defining new products and business models, as well as growing digital ecosystems. Prior to joining MakerBot, he led private equity investments in mobile and tech, served as CEO for a fast growing ad-tech company and in various other C-level executive roles at tech companies. Under Jaglom’s leadership, MakerBot has gone through a cultural shift to prioritize product quality and listening more closely to customers. As a result, MakerBot recently introduced new 3D printing solutions for professionals and engineers that have been very well received. MakerBot’s new 3D printing solutions offer engineers and designers a faster and more effective way to develop ideas and educators a better way to integrate 3D printing in the classroom.